What Qualities Do You Like In Your Fellow Neopians? What qualities do you like to see in your fellow Neopians? Generosity? Wealth? Friendliness? Elite gaming abilities? Wittiness? Personally, I love it when people love their pets so much that even their cheapest pets are beloved. For instance, loving a Split Lenny because it was their first ever painted pet. I posted a thread on the Help Neoboard asking people what qualities they like to see in their fellow Neopians. Within minutes, I was swamped by replies. 119, to be exact! I would have thought expensive pets, or lots of trophies, or huge NC albums would have won over their hearts. I was expecting them to slaver after rich users, witty jokers, and elite gamers. However, I was surprised by the responses I got! You all have a lot more heart than I credited you with, and I'll never think of you the same way! Of the 119 responses I got, "kindness" was the number one quality that people admired in other users! It was described in various ways, such as "kindness," "niceness," "compassion," and many other words. 18 people (that's 15%) said that kindness in other users makes them happy. According to them, it's easy to be nasty online when it seems like the other person isn't real, so it's nice when people actually treat each other like human beings rather than usernames! Kindness took on many forms, such as gifting, looking up an item on the Shop Wizard for someone on a Faerie quest, or simply complimenting someone's pets. Kindness to newbies was big too, as well as patience. Friendliness took on the form of talking to random strangers and even becoming Neofriends with them. Non-judgement was also a big factor, with all users agreeing that an open mind is the most beautiful part of Neopian society. In terms of accounts, I thought there would be a lot of different opinions about what makes an admirable account. There are trophies, games played, big galleries, pricey shops, and of course, beautiful pets. However, there were no account snobs on my thread! Everyone said that accounts are different between different users, and that they're all gorgeous as long as their owners enjoyed playing on the site. What generous people I've come across! They all agreed, however, that seeing pets customized, even with just backgrounds, makes them feel happier. Some people customize to make their pets prettier, while others customize to fit their pet's character/story, but we all agreed that bare pets look a little stark. All the people on my thread were open minded and welcomed all kinds of customization, as long as there was SOME effort. One user agreed with me about how precious even cheaply painted pets can be. Like me, the user liked people who loved their pets deeply, no matter their Paint Brush color, as long as they had detailed characters, stories, lookups and petpages for them! Another quality people admired in other users was a joyful, healthy attitude towards playing on Neopets. According to them, it doesn't pay to be discouraged easily, and it's not worth your time to mope after an avatar that's difficult to get, or get disappointed when your pets aren't expensive or rare. Everyone is at different stages of Neopets enjoyment, and having a joyful attitude is the best! 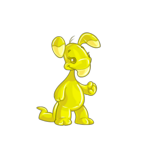 Neopets is supposed to be fun, everyone! A big quality that people admired in other users was the ability to work towards goals without begging. Countless users piped up about how they're constantly assaulted by random strangers who want their pets and Neopoints. I felt sorry for them, because they had to change their Neomail preferences to "Neofriends Only." In avoiding the beggars, they're also blocking plenty of kind, sweet Neopians from contacting them too! There was one intrepid user on my thread who admitted that his favorite qualities in his fellow Neopians were originality, trendiness, and dynamic personalities. Finally! Someone entertained by the wit of his peers! I had to agree with him that meeting (and laughing at) funny people on the Help Neoboard was the highlight of my day. I am a lot more attracted towards sparkling, hilarious personalities than depressing ones! So what do people HATE seeing in other users? Well, most of the people I interviewed disliked "grammar police," or users that go around correcting other peoples' spelling and grammar. We reasoned that there are a lot of users on Neopets whose first language isn't English, or else they're dyslexic, or else they have some other disorder that should exempt them from being criticized or mocked by their peers. Everyone agreed that a superiority complex was disgusting to see in other users. They preferred users who were humble, polite and thoughtful. Rudeness wasn't tolerated, and tons of people had to resist the impulse to squash the egos of conceited people who posted on the Neoboards. They practiced what they preached, however, and were polite and courteous to even the rudest, most condescending users! The people I interviewed generally disliked users who mocked others for having very aged accounts or very young accounts. For instance, people with very old accounts were attacked as being "n00bs" if they asked basic questions about the site that were known by most users. People with very young accounts were mocked as being "n00bs" as well, and were seen as being ignorant and new and not worth paying attention to. I was glad to encounter so many people on my thread who thought this was wrong behavior. Everyone deserves respect, no matter their account age! Lastly, people on my thread disliked people who were ungrateful towards TNT, or The Neopets Team. TNT works hard to please us with plots, site events and competitions, and everyone on my thread agreed that overall, TNT does an amazing job overseeing the website. I love it when people offer love to TNT! I used to hang out on the Winter Starlight Celebration every day because it was full of affection and well-wishes towards TNT for the holidays! This concludes my article, and I would like to give a big thank you to the Help Neoboard, my research mainstay of choice. The people there were kind, sweet and generous about posting their ideas and beliefs, and I could not have written this article without their help. To my absolute awe and delight, many of the users who posted on my thread were Help Neoboard regulars, people that I look up to for their intelligence, patience, and general amazingness. I was both inspired and humbled by their replies, and their opinions were truly thoughtful and eye-opening! Have a terrific time on Neopets, my fellow Neopians, and may you always meet the kindest of users on this site! Be good, my friends, and good luck with everything you do! A Rebuttal - Hagan is Definitely Better! Are you still on Team Skarl? Well, here are five indisputable reasons why King Hagan is better. The Tonu splashed his hefty tail, causing a ripple to spread through the mostly serene ocean. "We're here! Just take a look over there!"